Laerdal's Suction Unit with Semi-Disposable Canister has been designed not only to clear patients' airways in the field, but to also help you avoid contact with contaminants. The optional Suction Tube is ideal as a spare for when you need another tube quickly, or as a replacement to your current tube. Designed with clear material, you can monitor the suctioning process and ensure there aren't any blockages in the system. This helps you provide improved patient safety as it allows you to immediately see if there is anything wrong with the patient or the machine. How Do You Use the Suction Unit? Connect the Suction Tube to the patient inlet on the canister lid. 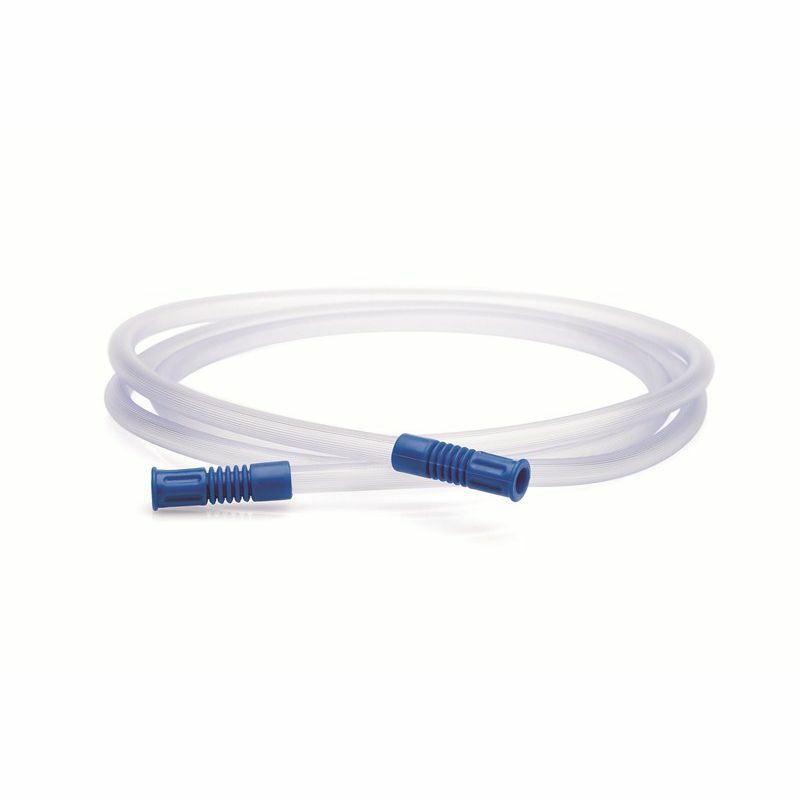 Attach appropriate Suction Catheter Adaptor if necessary (please note: not supplied with the Suction Unit). Set the operating knob to the required vacuum level and the unit will automatically be switched on and start to operate. The green power ON indicator is lit continuously while the unit is switched on. When suctioning is complete, set the operating knob to "0." The Suction Tube for the Laerdal Suction Unit with Semi-Disposable Canister will be subject to a delivery time of 3 - 4 working days after the point of order. For more information, contact our Customer Care Team at 020 7501 0593.